Sash: sash is the term used to describe the movable glass panel that covers the face area of a fume hood. Sashes can be vertical, horizontal, or a combination of hte two. Many hoods are installed with a vertical sash stop, which stops the sash at approximately a 14 inch work level. Sash stops should never be removed, overridden, or modified. 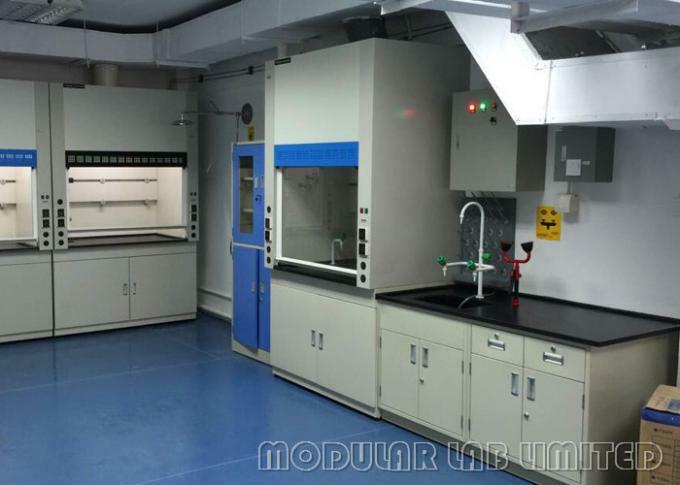 It is recommended that all lab work in a properly functiong fume hood be performed at the sash stop level or lower whenever possible. Advantage 1 * with memory function in case of power failure. Advantage 3 * large room exhuast system. 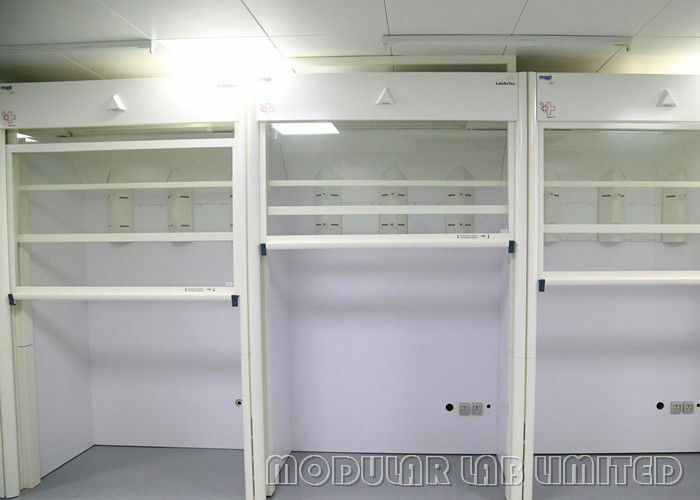 Advantage 4 * suitable for large laboratory insturments and equipment. Fume exhust duct connections, commonly called snorkels, elephant trunks or flex ducts, are designed to be comewhat mobile allowing the user to lace it over a small area needing ventilation. Howere for optimal efficiency, these connections must be placed within six inches of an experiment, process, or equipment. Thses funnel shaped exhuasts aid in the removal of contaminated or irritating air from a point source to the outside.